If you are facing a financial hardship and no longer can afford to make your mortgage payment Huntley Sort Sale Agent can help get your home sold even if it is worth less than what you owe on your mortgage. This will allow you to avoid foreclosure and move on your terms and your time frame. And How to Have This All Done For You At No Cost To You. Do Not Let Your Bank Decide How You Can Resolve This Matter, You Can Choose How This Ends Up And On Your Terms Not Theirs. Free Info: Just drop me an email or give me a call and I will send you valuable information that you need to know if you are thinking about this or if you have questions you need answered. 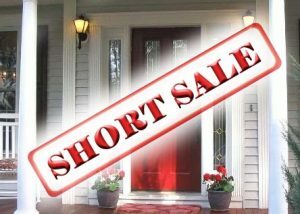 I have been a Huntley Short Sale Agent for several years. I help people that need to sell their homes when they owe more money on the mortgage than the house is currently worth. This is called a short sale and just means the bank accepts a short payoff from the full amount. If you are facing foreclosure, you have alternatives that can make a huge difference in your family’s future. You do not have to let the bank foreclose. You can have a much better outcome if you chose to. Just give me a call at 847-287-8742 and let me tell you about a great alternative to foreclosure. I have been working on Huntley short sales with lots of very good outcomes in all price ranges. A Huntley real estate agent needs to be able to get your home sold and then get your bank to except the sale and let you avoid foreclosure. Most people that are facing financial hardship and are not able to make their mortgage payments need to know what their options are. You can give me a call or drop me an email at huntleyshortsaleagent@gmail.com and I will be able to answer questions that I know you need to have answers for. Such as what happens next? What are my options? How much time do I have? These are all common questions that Huntley Realtor can help someone facing foreclosure get answers to a lot of questions they might have. It is always very helpful when homeowners know what the foreclosure timeline is and just how long they have. Many times they would just like to know what happens next. A short sale is not something that can get done quickly. So you should not wait till you think you have no time left before you look into it. I can let you know what you can expect in your situation and what timeline you will likely have. Sometimes people in this situation are interested in looking into a loan modification. That might be something you would like to check out, buy you must understand that you do not what to have only that one option. If that does not work out which is usually the case then you do not want to be so far along in the process that you run out of time. It is often a good idea to pursue both avenues at once, that way if one does not work out you have the other to fall back on. And if both happen to go through you will be able to choose the one that is best for you at that time. If you are trying to find a short sale realtor to help you understand what your options are please give me a call. I work on short sales in Huntley, Algonquin, Lake In The Hills, Crystal Lake, and all surrounding areas. If you would just like some information you can just send me an email at huntleyshortsaleagent@gmail.com and I will be able to help you understand the process and go over the timeline with you so you understand where you are at and what your options are. And please remember that the best Huntley short sale agent I can do this at no cost to you.